Casinos themed around all things British are fairly common in the online casino world, with the likes of All British Casino leading the charge for many years now. Despite Brexit making the reputation of the UK somewhat questionable in the eyes of many around the world in the current climate, there are still multiple sites being released based around the recognisable and striking imagery of Great Britain. 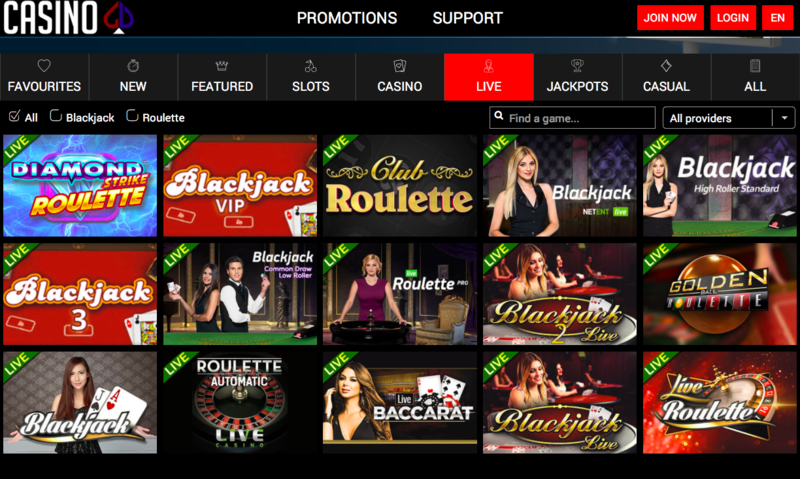 One of the latest sites to throw its hat into this particular ring is Casino GB, which was released back in March (2018) and has been fighting to carve a space put for itself in the busy and competitive online casino market ever since. 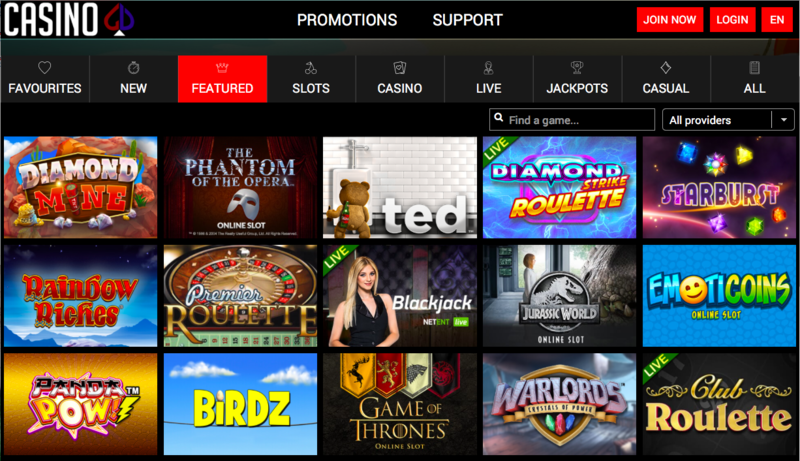 It’s always a little difficult to succeed when you are themed around such a specific concept, especially when that concept is a specific part of the world, but this UK facing casino seems to have found a decent audience so far, with a strong number of players trying out the games and promotions on offer from Casino GB. However, getting attention as a newbie is not the same as maintained that attention in the long term, so, does Casino GB have what it takes to make an impact for a long time to come? Or is this a site that will soon find itself lost in the shuffle of mediocrity? Most casinos that are based in any way around the UK, make it clear within their design that they are, in fact, basically just based around London. London buses, red phone boxes, and many of the capital city’s most famous landmarks will usually find their way onto the homepage. This is not the case at Casino GB, which should be refreshing, but it is in fact more confusing, because there is nothing in the design here that is in any way representative of Great Britain. The logo has the letters GB in the shape of a spade card suit, and the images in the banner are the usual smug looking models you get at most sites, standing in the general vicinity of a poker table or other casino based imagery, but there is not a single picture, image, or piece of artwork on the entire of this site that references Great Britain at all. The design is okay, predominantly black, simple, subtle, fairly effective, but it just feels strange when the theme that this casino is apparently based around is in no way represented by the design. 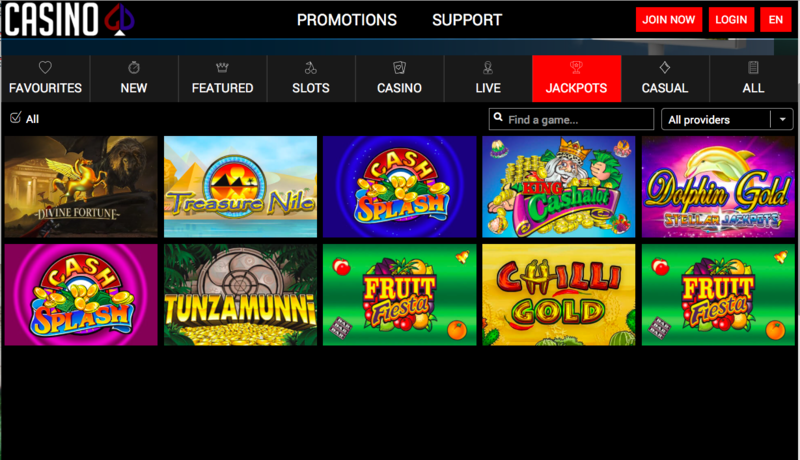 The games selection at Casino GB is fairly average, with titles coming from the likes of 1X2 Network, Betdigital, Big Time Gaming, Blueprint Gaming, ELK Studios, Extreme Live Gaming, Gamevy, Genesis Gaming, Microgaming, NetEnt, NextGen Gaming, SG Digital, SG Gaming, and Thunderkick. This small, yet heavy-hitting selection of software developers ensures that there is something to suit all tastes here, with slots, table and card games, live dealer titles, a variety of jackpot games, and more on offer for players. Whether it is enough for the more experienced and professional online casino players is unsure, but for those who are new to the scene, there is certainly enough on offer here to ensure a certain degree of entertainment will be found here. That’s the main problem with Casino GB, it only ever feels like it does just about enough to cater for some players, without having anything that stands out, or anything that is likely to impress anybody. A site based around Great Britain with out any references to Great Britain throughout, Casino GB feels like a little more effort could, and should, have been put in, but unfortunately it wasn’t.